Only 23,884 Miles! Scores 46 Highway MPG and 53 City MPG! This Toyota Prius c boasts a Gas/Electric I-4 1.5 L/91 engine powering this Variable transmission. Urethane Gear Shift Knob, Trip computer, Transmission: Continuously Variable Automatic -inc: Electronically controlled. 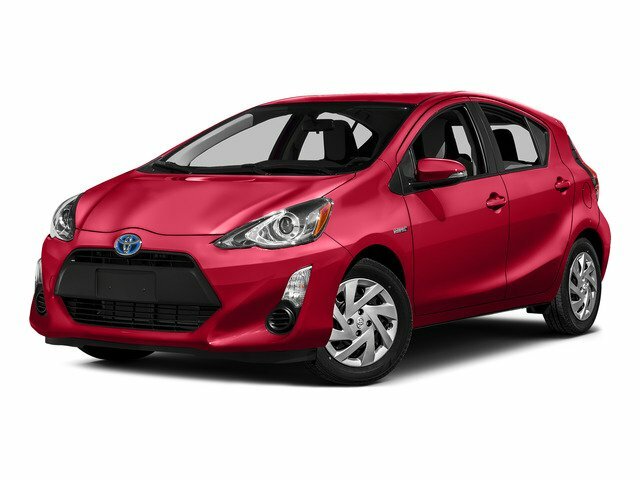 *This Toyota Prius c Comes Equipped with These Options *Transmission w/Driver Selectable Mode, Torsion Beam Rear Suspension w/Coil Springs, Tires: P175/65R15 AS -inc: low rolling resistance and temporary spare tire/wheel (T125/70 D16), Tailgate/Rear Door Lock Included w/Power Door Locks, Systems Monitor, Strut Front Suspension w/Coil Springs, Steel Spare Wheel, Single Stainless Steel Exhaust, Side Impact Beams, Remote Releases -Inc: Mechanical Fuel. * See What the Experts Say! *As reported by The Manufacturer Summary: The world's first and most successful mass-produced hybrid car, the Toyota Prius hybrid continues to expand its dominance. If you're looking for the best fuel economy in the hybrid field, the Prius' 51cty/48 hwy mpg rating is still king. The plug-in model also allows for more options and with the ability to run solely on electric power at ratings of 95 MPGe. The driver is given a range of performance options via the EV, Eco, and Power buttons, which allow for variations in throttle application and fuel consumption. 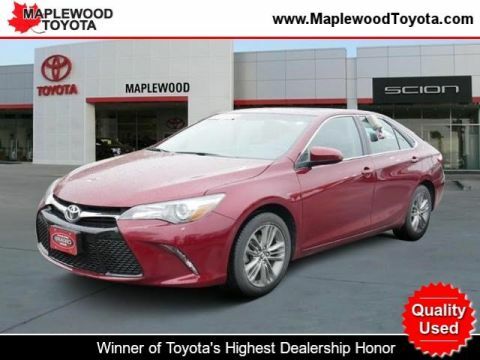 In EV mode, the Prius hybrid functions solely on electric power (speed and miles permitting), while the Power mode setting delivers the full potential of the gasoline engine assisted by the electric motor. The Eco mode setting is probably the most useful of the three, allowing the Prius' computer to modify the throttle response for the best balance of fuel consumption and performance. 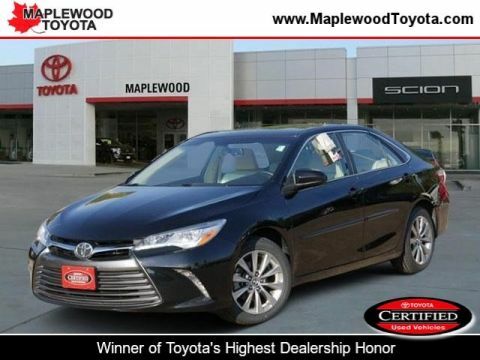 The Toyota Prius hybrid hatchback features an interior as modern and different as its exterior. The available Solar Roof is embedded with solar panels that can power a fan to circulate ambient air through the cabin when parked in direct sunlight. The contoured dash looks particularly handsome with its 2-tone panels. The Prius' sheet metal is designed to cheat the wind, with sharp-edged creases and flush glass panels. Even the car's wheel covers are aerodynamic. Available safety features include Dynamic Radar Cruise Control which can regulate vehicle speed when cruise control is engaged, a Pre-Collision System which can automatically apply brakes if collision is detected, and Lane Keep Assist which can give a warning notification or when Dynamic Radar Cruise Control is engaged it can gently correct steering. 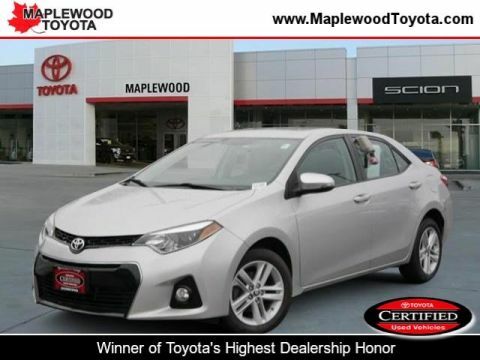 * Stop By Today *Come in for a quick visit at Maplewood Toyota Scion, 2873 Highway 61, Maplewood, MN 55109 to claim your Toyota Prius c!